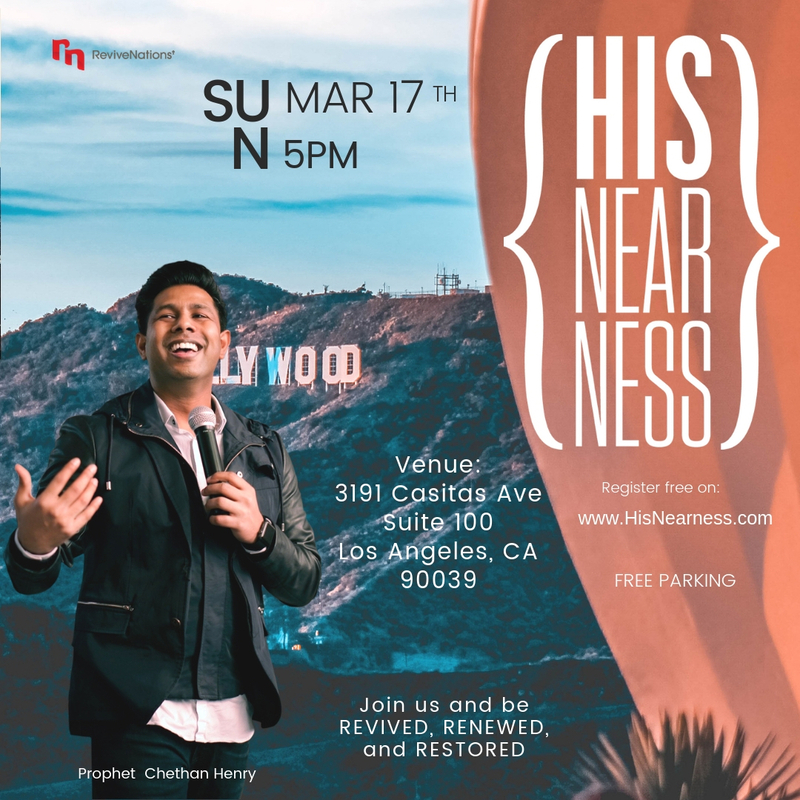 HISnearness LA is a monthly conference hosted by Revive Nations. Revive Nations is a ministry led by Prophets Shyju and Tiny Mathew. HISnearness LA is a response to the end-time revival call over Los Angeles. 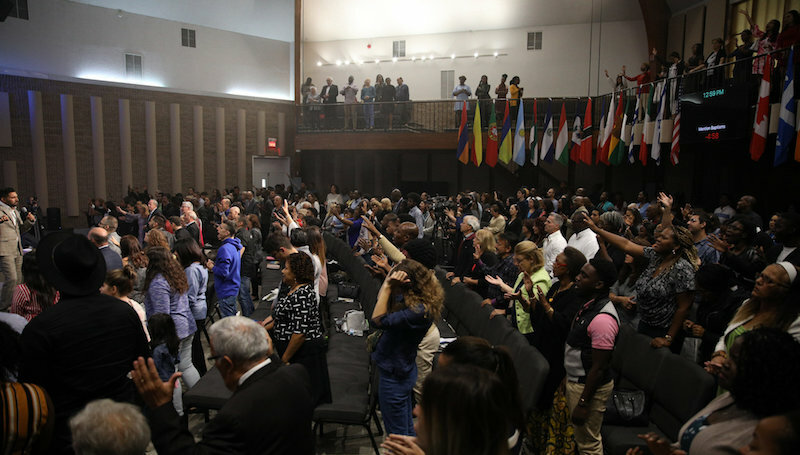 Shyju and Tiny have an international ministry based in Montreal, that has touched thousands of people in over one hundred cities and twenty four nations around the world. March 18th at 5pm. Experience the Word of God in the power of the Spirit. Be revived, renewed and restored. Help us spread the word. Share this page with a friend. Click to download flyer here. HISnearness LA is a monthly conference hosted by Revive Nations. Revive Nations is a ministry led by Prophets Shyju and Tiny Mathew who are based in Montreal, Canada. HISnearness LA is a response to the end-time revival call over Los Angeles. Shyju and Tiny have an international ministry, that has touched thousands of people in over one a hundred cities and twenty four nations around the world. Come experience a unique revival anointing starting this February 17th at 5pm. Experience the Word of God in the power of the Spirit. Be revived, renewed and restored. Be up2date about our location, time and resources. A powerful resource by Pastor Shyju Mathew on developing a lifestyle of being in communion with God. These 52 practical gems in this book will transform your walk with God. Available at our conference locations. Follow our social media and be revived, renewed and restored.